​The latest unique and controversial exhibit from the Body World collection of plastinated human specimens will focus on the human heart this summer in Amsterdam at EXPO Zuidas. The German anatomist, Dr. Gunther von Hagens, developed a novel system to freeze and then plastic-coat human cadavers in a process that preserves them for display. The result is a traveling show of plastinated specimens offered for viewing for medical students and curious onlookers alike. The anatomy and physiology exhibit developed by Dr. von Hagens features more than 200 preserved human specimens and includes entire bodies as well as individual organs, body parts, and transparent body slices. Since 1995, the unique and controversial exhibit has toured across Europe, America, and Asia and has been viewed by over 34 million people in the process. Now the Body Worlds the Story of the Heart is currently on display in Amsterdam Netherlands at the EXPO Zuidas until June 17. Now the citizens and tourists in Amsterdam will have the opportunity to see a new version of the original fascinating exhibition that focuses on the human heart and offers visitors profound insights into the human body, health and disease, and the intricate workings of the cardiovascular system. The display features a unique collection of over 200 authentic human specimens including whole-body plastinates, organs and translucent body slices, to tell the story of cardiology and the heart. The new and unseen part of the new exhibit includes am up-close look at the four chambered muscle that nourishes, regulates, and sustains life. 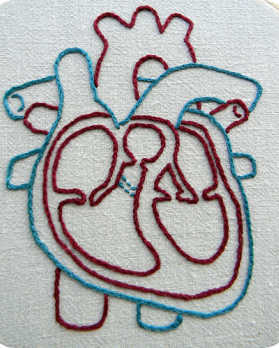 The human heart is viewed through the lens of anatomy, cardiology, and psychology. The well-rounded exhibit will also include a look at the heart in the context of history, culture and the humanities as well. You can see the BODY WORLDS & The Story of the Heart at the EXPO Zuidas Amsterdam until June 17 this year. Exhibit hoMonday, Tuesday, Wednesday, Saturday and Sunday: from 9:00 a.m. to 7:00 p.m., and Thursday and Friday: 9:00 am to 21:00 pm.